Dr. Segal’s Travel Socks: About a year ago when traveling to Mexico, I met and began talking to a man in a long customs’ line. He mentioned at the time he was about to embark in a new business – compression socks – and he told me he thought they’d be good for me with all the travel I do. He said he’d send me a pair once the company was up and running. A few weeks ago, I got a box in the mail from him. Dr. Segal’s True Graduated Compression Socks are said to increase circulation and reduce swelling and leg fatigue. I rocked mine on a flight from Philadelphia to Denver and definitely noticed a difference in comparison to traditional ankle socks, mostly in how fresh my feet felt when I got off the plane. I’m not a doctor, but I’m wearing them every flight from here on out until I inevitably get a hole under the big toe. If you’re someone whose legs or feet fall asleep when you sit for an extended period of time, these socks might help to prevent that. I’ve also worn them hiking at altitude in the Rockies and felt like I had a little extra in my step. You should give them a go if you haven’t yet. 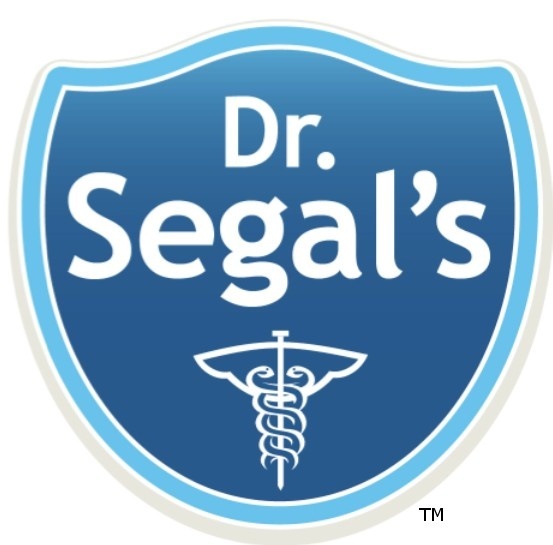 The one thing I will advise Dr. Segal’s about is that because of the nature of the product and its purpose (compression), the socks can be difficult to get on at times, especially if they shrink at all in the dryer. My hope is that the newer versions improve upon that a little, but otherwise, I’m a believer. Cool Off Wipes: These things claim to cool you off if you place it on the back of your neck, providing “icy cold herbal therapy” when you’ve reached your boiling point. I tried out this product when I was in the Caribbean, and I have to be honest it really wasn’t for me. Besides the fact that I’m having a hard time envisioning myself using this product while on vacation to, say, a tropical destination, when there are pools and oceans to be had, I also felt like it moreso “burned” the back of my neck. It felt like I had slapped on some super strength Bengay, a sensation more closely associated with a “burning” than cooling. I’d say pass on these and go the old fashioned route: Find yourself a popsicle or something. Dream Water: This product is a small “shot” that is essentially the exact opposite of a 5-Hour Energy – instead of picking you up, it aims to relax and help you doze off. I was actually impressed by the fact that I never woke up feeling like a zombie, even though on one occasion I took it on the tail end of my flight to Macedonia and only got about 3 or 4 hours of sleep. I’ve tried it several other times as I really don’t have any problems to report – it pretty much worked as advertised. I started to “feel it” about 15-20 minutes after I drank it, and it definitely made me feel sleepy (and a bit goofy, too, but don’t think of it as an Ambien or anything that powerful). Overall, it did the job in helping me to fall asleep and catch some rest. I feel comfortable recommending you give Dream Water a shot on your next long flight, pun intended. Have a product you’d like reviewed? Feel free to contact me. Previous Breakfast Table Convo: Just How Bad is American Airlines?